I posted a version of this blog on Facebook after the world lost Robin Williams in August. I shared it there and only with friends, as I tend to do when something feels too personal for the rest of the world. 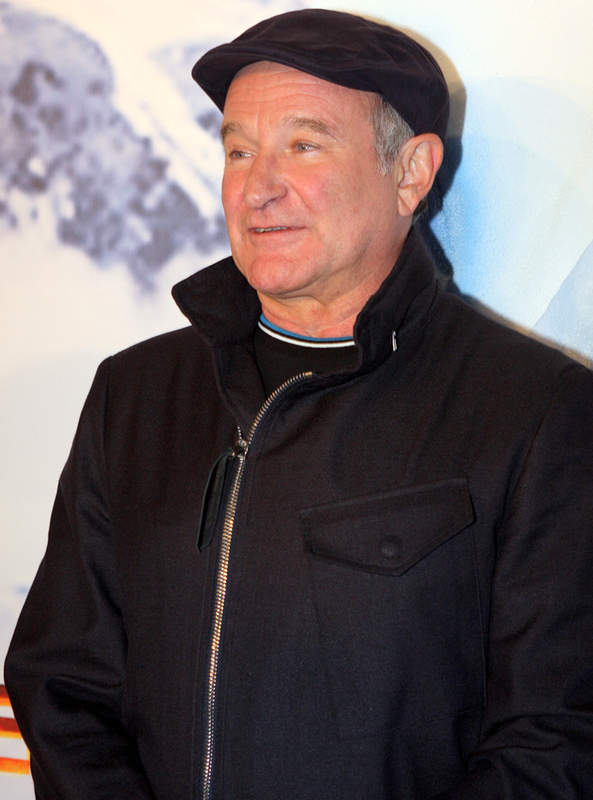 Wikimedia Commons | Photo by Eva Rinaldi | Robin Williams at the Happy Feet Two Australian Premiere 2011. Williams death on Aug. 11 was ruled a suicide. His wife stated he had been battling severe depression. But, October is, among many other things, National Depression Awareness month, and it would be selfish of me to not share my own experiences and know that someone, somewhere may have benefited if I had. As I read conversations in my newsfeed in the days following Williams’ death, I found myself glad that most of the discussions about depression and suicide had been so respectful of each other’s opinions and thoughts. But at the same time, I was reminded just how much mental illness and issues are stigmatized. Some of the conversations also painted a very clear picture about just how hard it is to share what depression and thoughts about suicide and self-harm are with someone who has not experienced it themselves. It’s frustrating, like I imagine trying to describe colors to a blind person or specific sounds to a deaf person would be. How do you make someone understand when they have no point of reference? How can someone understand that the worst “sad” they’ve felt only begins to scratch the surface of what you feel at your rock-bottom? Still, I would rather struggle to explain it than to have them know the absolute hell depression is. I can’t speak for everyone, but I can share my experience. I’ve suffered from different levels of depression and anxiety for as long as I can remember. When I was a kid, it manifested as debilitating shyness and loneliness. The first time someone actually asked me if I was depressed was in high school. 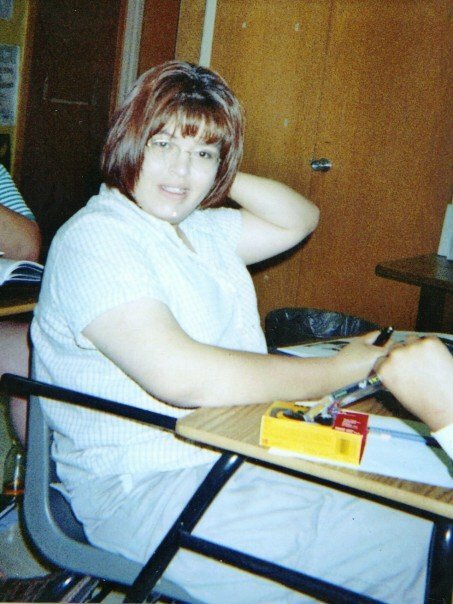 After one of my teachers died, my mom became concerned with how much I was sleeping and talked to the school counselor. I cringe remembering the complete embarrassment I felt knowing my friends knew I had been called to the counselor’s office to discuss my “issues.” I cringe again today remembering how completely awkward that meeting was. Senior year, right when I was learning how to monitor my emotions. It’s also when I randomly decided to chop off all my hair. Not sure if the two were connected. It was the first time I felt I had to work harder to be “normal” to avoid having to talk to someone about my feelings. I realize now that was the first time I consciously trained myself to lie to avoid examination. As I grew older, I became better and better at hiding behind a mask, even though I hated what I was inside: sick and broken. I’m not exaggerating when I say “sick.” At the very worst of my depression, my whole body ached, like I had the flu. Imagine the worst break-up you’ve ever had. That tightness around your heart, the dizziness, the nausea in the pit of your stomach, the headaches, the feeling that everything was wrong … imagine those feelings each encompassing your whole body, for days, weeks, months. On really bad days, colors feel dull, sounds seem muffled and you feel like you’re being suffocated by your own skin. Worse than that, you don’t KNOW why you feel this way. In fact, there may be NOTHING in your life to justify feeling like this. Which means you don’t know how to fix it and you don’t know how long it will last. It also means you can’t sufficiently explain to those increasingly frustrated people around you why you can’t just “cheer up” and why their efforts to do it for you are pointless and doing more harm than good. I can’t count high enough to tell you how many times I’ve said, “I’m just tired” so the questions would stop. You feel awkward, out of place and like a failure. Sometimes, you want, Want, WANT to be happy, but you just CAN’T. You can see how uncomfortable people are around you and you can see how much you’re disappointing them by not being happy. You’re angry with them for not understanding that you’re trying, GOD, you’re trying so hard, to be happy. You’re angry at them for being selfish enough to assume that their happiness and comfort is more important than yours. You’re angry at them for trying to “fix” you instead of just letting you know they’re not going to leave and that they care. You’re angry with yourself for not being able to just GET OVER IT. You’re angry with yourself for being selfish in wanting to make your own choices, whether it be to be happy, or sad, or here, or gone. It’s then that you also give up trying to actually be happy, because trying for genuine happiness is pointless. But, if you’re like me, you’re a pretty damn good actor. You can fake it. You can act happy, smile, act silly and force yourself to act what everyone else calls “normal.” You hide the panic attacks and the tears and the self-destructive behavior. And it’s crazy, because it WORKS. They believe you. But it’s exhausting. So exhausting. There are cracks in the mask. And at the worst times, like when you’re extremely stressed at work or after an argument or even when some random person is a jerk to you at WalMart, you have a meltdown. Or maybe you drink too much and you spend a few hours freaking out a loved one by uncontrollably crying and screaming about how unhappy you are. Each time, you realize again just what a failure, a burden, a disappointment you are. The shame and guilt from the moments of pain you’ve caused are unbearable. And in those moments, there’s a voice in your head, sometimes screaming, sometimes whispering: If you loved them enough, you’d stop hurting them over and over and OVER AND OVER again. Wouldn’t a temporary state of pain after you’re gone be better for them than the lifetime of pain you’re causing now? Because regardless of how selfish and cowardly people may think you are, you do love them. So much it’s its own kind of pain. You live with these thoughts alone, because, in addition to hating the thought of being a burden to your loved ones, you don’t want others to know just how much of a “freak” you are. Let’s face it: once you’re labeled “crazy,” that’s what you’ll be remembered for above all else. From that point on, it will be the first thing people think of when you’re upset, sad, mad, or being irrational. Sometimes, even when you’re happy, they’ll think it. Asking for help was one of the hardest things I’ve ever done. Sharing all of this with you is just as hard. It took me all week, going back and forth, trying to find reasons to write something else, before I finally hit the publish button. But sharing is the only way we’ll stop allowing the monster that is depression grow stronger in the dark. Sharing and knowing we’re not alone in our struggles are the only ways some of us will find strength to stick around. I used to think suicide was selfish. In fact, I remember vividly calling people who “made that choice” cowards. But now that I’ve been through my own hell, I know better. I was one of the lucky ones who has been able to claw my way out, with help from my family and friends who have the love and patience to deal with my ups and downs. I’ve been able to do it without medication or actual therapy, but I know that everyone is different. 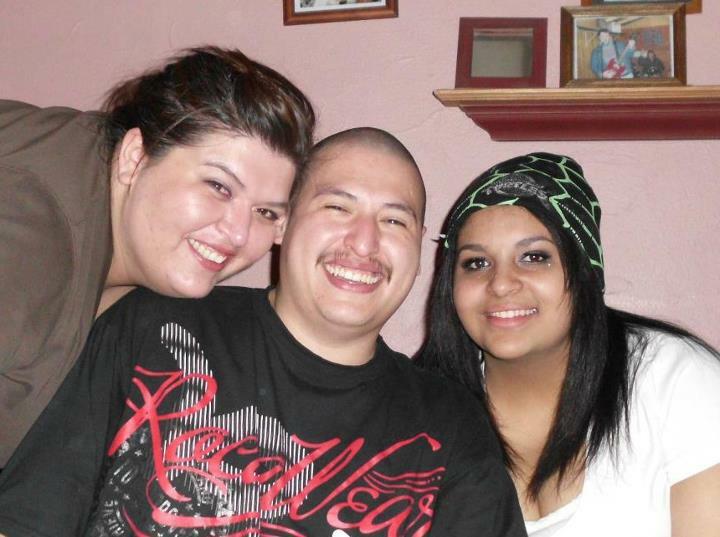 Among others, my brother and sister are two of the reasons I mostly stay happy nowadays. Thank you guys. I’m happier now than I’ve been in a long time. Genuinely happy, for the most part. But I know that I will always have that broken piece inside me and that awful voice hiding in my head. I know that all it takes is a bad day to make me start to slide back and I know that I have to fight with everything I have, sometimes for days in a row, to keep it at bay. For now, I’m winning. Hopefully it will stay that way. My heart breaks for Robin Williams, for his family and for anyone else who has lost the fight, because I’m sure both they and their families fought for as long and as hard as they could. But it all also scares me. Because in the end, no matter how much happiness, money, love, power or fight some people have … sometimes, it’s still not enough. But I’m going to keep fighting, and I hope you will, too. If any of this sounds familiar, know that I’m here. I may not know exactly what you’re going through, and I’m no doctor, but if you’re feeling awful, scared, lost or any of the other words depression hides behind, I’m here. I’m here if you need to talk or get out or just … be. I won’t be able to fix you, or you me, but together, maybe, we can deal with whatever may come.